Boost your bowling game with the 900Global Boost Bubble Gum ball. Length is needed on drier oil conditions and the S43 Pearl coverstock provides that. Then the symmetric Launch core creates a snap at the backend breakpoint. This ball is great for drier lanes or as an introduction to reactive balls for beginner bowlers. 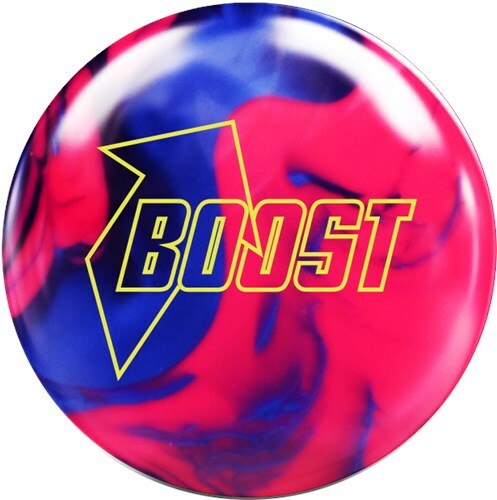 If you are looking for weaker ball for short patterns or drier lane conditions then the 900 Global Bubblegum Boost is a must have for your bag. Low end? Not a chance!! Performance for YOUR Game is the name of the game. That is what the BubbleGum Boost delivers. 900 Global is providing a ton of ball at a very good price point. 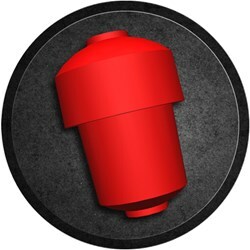 With the BubbleGum Boost you are getting through the heads super clean and still getting the backend reaction people are looking for. The Pearl gives you more of a skid/flip look but it is still an easy controllable reaction. You can use this ball on fresh but it absolutely shines when the lanes start to break down and you need that extra push to get through the heads and still get the recovery on the backend to carry. Another great piece made by 900 Global at great price point. Get you one and you will not be disappointed. Hello! Yes, this would be a perfect ball for a house shot. This is an Entry Level ball that will have a slight hook to it. This is not a plastic ball. Due to the time it takes to produce the 900Global Boost Bubble Gum Pearl ball it will ship in immediately. We cannot ship this ball outside the United States.